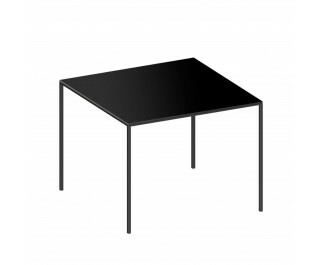 Table. Frame in sandblasted stainless steel tube 20 x 30 mm. New version, black or rusty finish HPL top, 10 mm thick, black edges. Available also version for protected outdoor use: frame treated for outdoor and polyester epoxy painted, embossed black. Special top on request for contract.